SMB Marketing FAQs - SMB Marketing, Inc. Questions about SMB business practices. Is SMB Marketing a digital marketing agency? Yes but we’re more. We are a team who use our talents and experience to help small to medium-sized organizations, in a variety of ways. Many of those ways are in marketing and communications, but some of them are not, such as business consulting, accounting and tax preparation. Create/update your customer-facing collateral – presentations, brochures, websites, email blasts or social media channel pages. Automate and streamline the process of localizing content. Develop inbound marketing strategies to manage (and monitor) your organization’s social media presence. Create video content, ghost-write your blog, or supply killer copy for your newsletter, brochure or website. We take on the responsibility of bringing customers to your door so you can focus on what you do best. How does SMB Marketing work with new clients? A relationship with a new client typically starts with a phone call or a meeting between one of our Directors and a prospective client. This initial meeting is to determine if the client’s objectives and SMB Marketing’s experience are a good match. Background information on the client’s business and any specific projects and goals they have. A general idea on how much the client is willing or able to spend overall and on a specific project. SMB will then develop a proposal and present it to the prospective client and answer any questions to ensure the client is comfortable with what is being proposed, the timeline and the cost. We serve all sorts of clients, small — medium sized clients, and one-person operations. These businesses are all over the U.S., and across a wide variety of industries. We’ve worked with hair salons, professional services businesses, retail stores, schools, non-profits, restaurants and many other businesses that are looking for a full-service, high-touch business consulting and marketing firm that will help brand their businesses, design their online and collateral materials, create videos, develop their copy and content, manage their websites, and assist them in bringing customers to their website or door. What is the term of your agreements and how are they cancelled? We hate when our vendors try to lock us into long term agreements with penal cancellation policies, so we refuse to do that to our customers. The term of our agreements is whatever you want them to be. Our goal is to be a business partner, not hold you hostage in a legal agreement, which is also why our agreements can be cancelled at any time with just a phone call. We are happy to work with our customers on a month to month or project basis but if you’d prefer the stability of a long term agreement we’ll be happy to offer you one that includes a one phone call, no penalty cancellation clause. We aren’t lawyers or craftsman, we are business professionals that want to be partners with our customers. In our experience it’s difficult to develop a partnership when one or both parties are watching the clock. During our initial consultation and hopefully ongoing relationship we will identify projects that our team will work on for your business. Our team will analyze the project requirements, identify the level of effort and we will deliver to you a project plan and fixed cost for us to complete the project. It’s an agreement that protects you from hidden costs and project overruns. We agree to provide you with a list of services on a monthly basis, such as website updates, social media management. search engine optimization, e-mail campaigns, business and financial consulting. You can rest easy because you know your monthly marketing costs are fixed and being handled by professionals. We believe this approach allows you to properly budget for the projects you outsource to us and allows us to provide you with outstanding services and results. In some cases our customers have demanded hourly rates and we will provide them once we have time to meet with you and better understand the needs of your business. If you are satisfied with the size of your business and the number of customers you have, probably not. If you are not satisfied with the size of your business and want to increase your base of customers then adding a website may be an excellent first step. The internet is the way many consumers shop these days even for brick and mortar businesses. They search on Google or Bing for businesses that provide a product or service they are looking for and then review the search results. Most consumers prefer businesses with websites or a social media presence as it gives them some insight to who and what the business is and allows them to build some trust in the business . Why do I need a marketing consultant or plan? Find new customers to sell your products and services to. During our consultation we will try to determine what the best option is for your particular business. It’s quite possible that your business isn’t effectively communicating new products and services to your existing customers which could also indicate new customers are having difficulty finding you as well. We utilize professional SEO tools that provide us with valuable information about your presence on the web (search engine ranking) and how your site performs on keywords that are specific and unique to your industry. In addition to your websites search engine ranking we will review the frequency you update your website and social media, your collateral materials and press releases to ensure they are effectively communicating the message you want. What am I doing wrong with my current marketing? Everything takes longer than you expect or plan for. Pricing, when releasing new products or services, it can be difficult to establish the right price for the market position you have chosen, but it is usually better to start off with a higher price and consider reductions later as it is much harder to raise prices than lower them. When it comes to advertising, new businesses usually expect too much from a single ad whether it be printed or online. 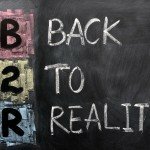 ‘Repetition is reputation’, you need to budget for sustained advertising, otherwise you may have to find alternative ways to promote your products and services. Don’t expect miracles from your website. Thousands of new websites are created each day and they all need promoting. What is SEO and how long will it take it optimize my site? SEO stands for “search engine optimization.” It is the process of getting traffic from the “free,” “organic,” or “natural” search results on search engines which results in your website ranking higher in searches. The SEO process is actually never complete but it usually takes at least 3 months to notice significant impact. SEO is an ongoing process because there is always more that can be done to optimize your site as circumstances within your industry change. New competitors entering the market place or existing competitors initiating their own SEO initiatives can impact your overall ranking so it is critical to regularly critique and measure your sites SEO. What is eCommerce and does my business need it? eCommerce is the common term for any commercial transaction that takes place completely through the internet. This transaction may be between a consumer and an online-only store or business to business transaction, such as when a grocery store orders produce online from their produce vendor. Typically eCommerce is a good idea for all small businesses but there are a few cases where it’s not always a good fit. What many retailers love about eCommerce is that customers may purchase from them without any limitations imposed upon them by distance and time. What many retailers hate about eCommerce is that their local consumers may purchase the same products the retailer sells from businesses that are thousands of miles away along with pricing pressures. In general it’s a good idea for a local business to have some eCommerce presence on their site to enhance their product offering and make it simpler for their customers to purchase products if they are unable to or don’t have the time to stop by their physical store.